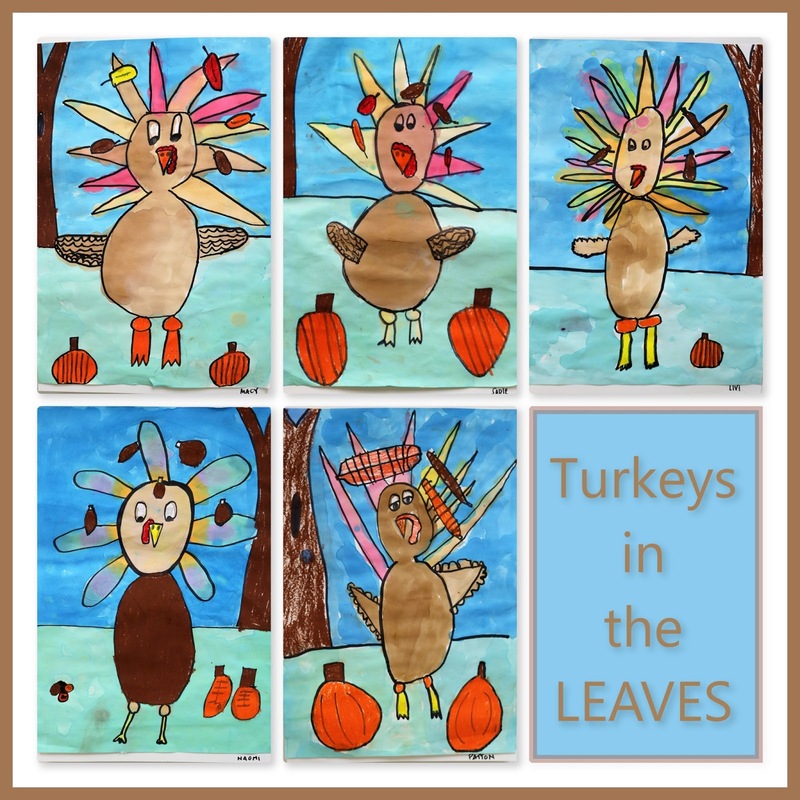 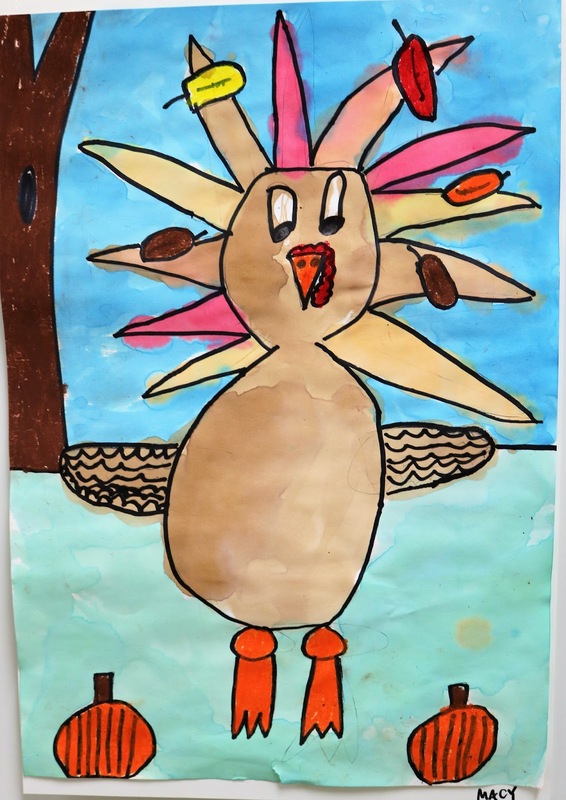 Kim & Karen: 2 Soul Sisters (Art Education Blog): Turkey in the LEAVES? 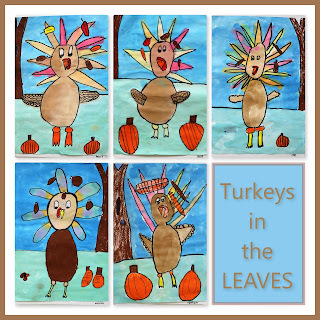 We did turkeys in the leaves, not turkeys in the straw! 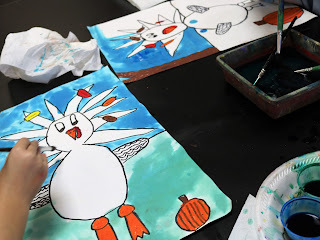 I thought this was a great project for second grade. 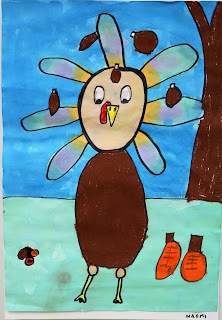 They really had to think about having leaves falling from the tree in front of the turkey. 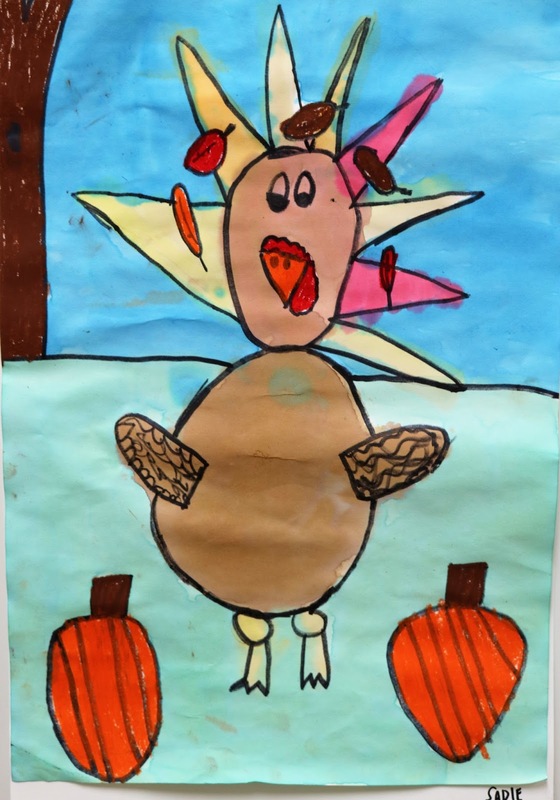 Proud of my second graders for pulling this project off! 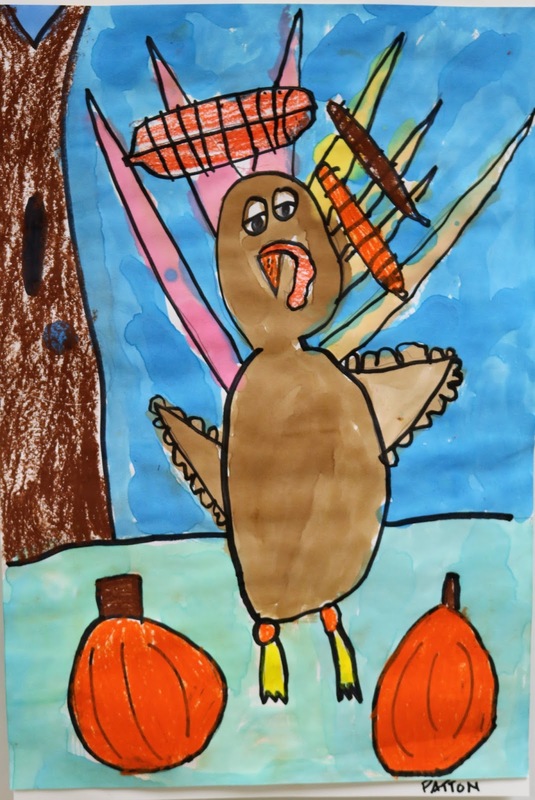 Kids draw leaves in front of the turkey. 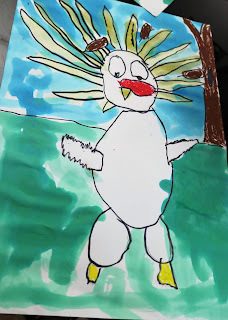 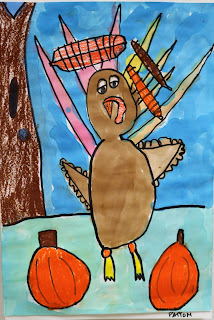 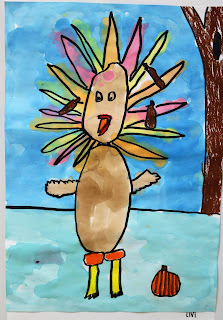 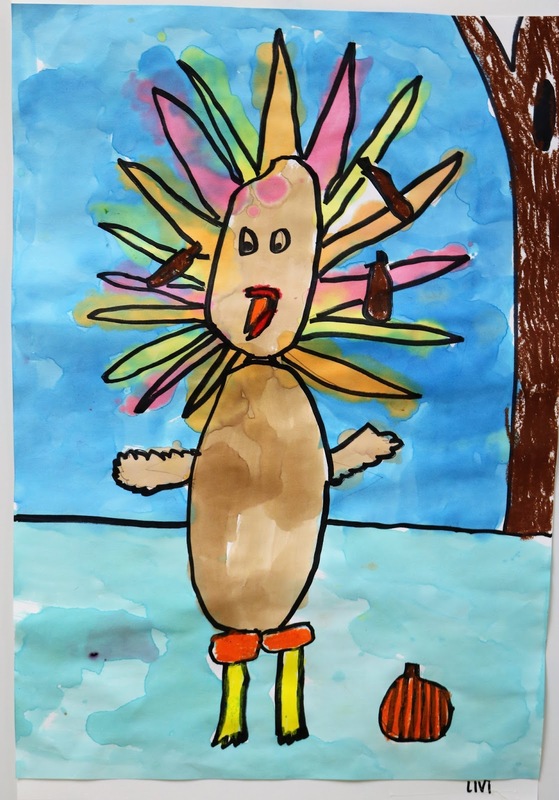 Kids use oil pastel to color the leaves, tree, beak, wattle, legs and feet. 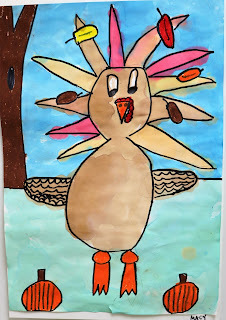 Kids used water color to paint the turkeys. 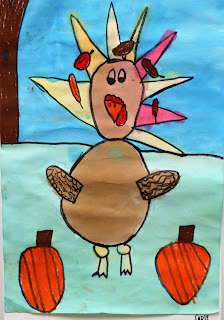 Here's Turkey in the Straw, not Leaves!